Interesting news for fans of big scale models. 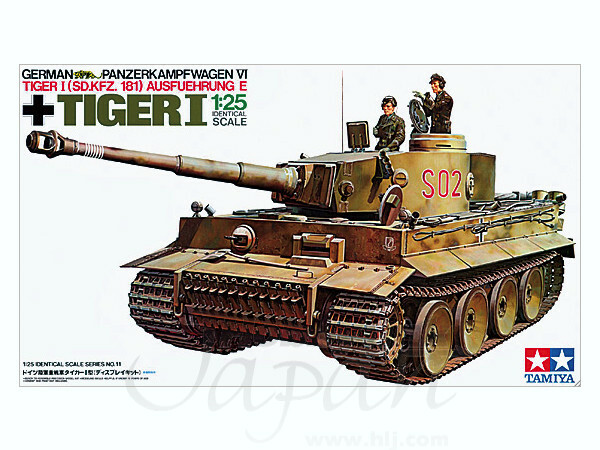 Tamiya re-released their 1/25 Tiger I (Kit. No. 30611)yesterday. It is available at Hobby Link Japan for about €70,00 (9.310 Yen). Aber produces a nice set of mesh to go over the engine intakes as well. The kit is from 1968 and has an interior. I'm not an expert on the accuracy of the interior but is seems better than nothing en quite sufficient when viewed through the hatches. The model is sold for insame prices on the second hand market so this is a good opportunity to get one at a fair price.